I love cooking scrumptious baked goods at the house. The delicious aroma fills the house and nothing beats eating a warm, moist pumpkin muffin right after it’s been freshly baked (be sure to cool before eating). Over the years, I started adding baked goods into my routine and that seems to make people wanting more…especially my husband. My wonderful mother-in-law gave me a couple of recipes that were a huge hit with her family and I knew I needed to keep the traditional alive…and of course, my husband happy with home-baked goods like his moms! I took her recipe and made my own tweaks. This recipe is perfect for either pumpkin bread or pumpkin muffins that your friends and loved ones will devour. Prep time is roughly 10-15 minutes. Cooking time is 35-60 (depending on if you are making bread or muffins). And you don’t have to be a trained chef to master these goodies. This recipe makes either one loaf of bread or 18-21 muffins. Enjoy! Combine all dry ingredients (sugar, baking powder, baking soda, salt, clove, nutmeg, cinnamon, and whole wheat flour) in a mixing bowl. Then add eggs, oil (or applesauce) and pure pumpkin; mix until all ingredients are blended. 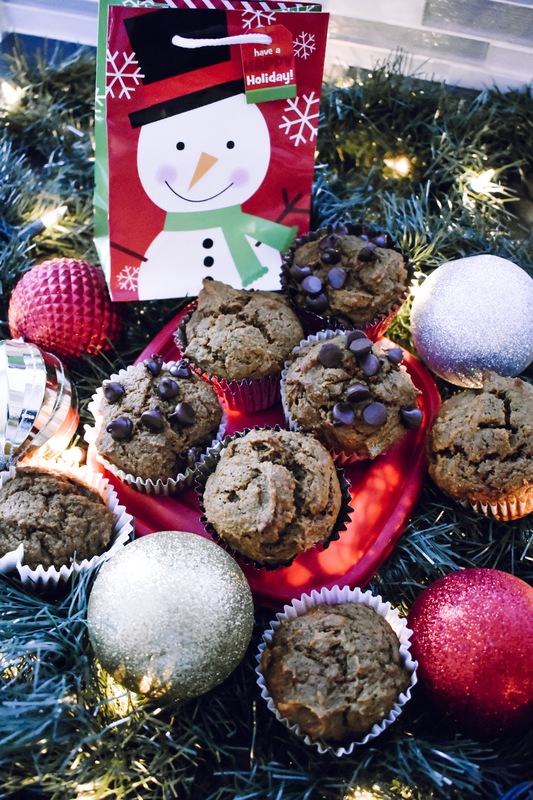 Pumpkin Muffins: Grab your muffin pans, place muffin cups in pan and scoop mixture evenly (18-21 muffins). Add nuts or chocolate chips to the top of the mixture, place in oven and bake for 35 minutes. Just like that, you have a tasty treat that everyone can enjoy. Sometimes I will add a little more spices (from the list above), vanilla extract and some sweets like M&Ms. As long as you have the foundation down, you can start adding your own spin. With the holidays upon us, be sure to bake this delicious pumpkin recipe, as they will be a huge crowd pleaser. Happy holidays! If you have a pumpkin recipe you love, please share.